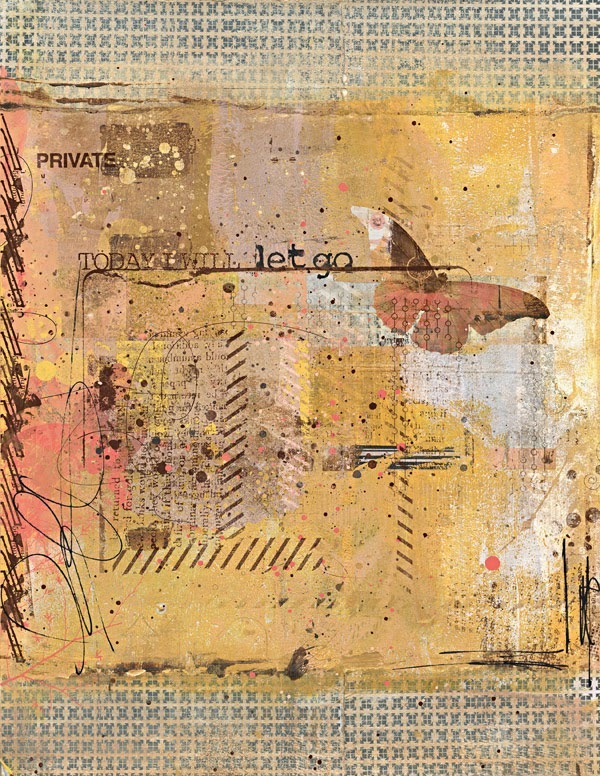 Home art journal Captivated Visions creative art digital mixed media Today I Will... Let Go! Today I Will... Let Go! Surprise! I told you the next digital art journal page wasn't going to be using "focus", my One Little Word. I've been harboring some sad feelings lately. I'm sure I'm over-reacting but I was having some issues with comparison and disappointment. I had my small group pray for me and it really helped. It also helped to do this page. I should really print it up and add the words "LET GOD" to it and hang it up in my house. It's the perfect colors for my house and I really need the constant reminder to just lay it all on the alter and give it all to God. That's the only way I'm going to be free of all these icky feelings.